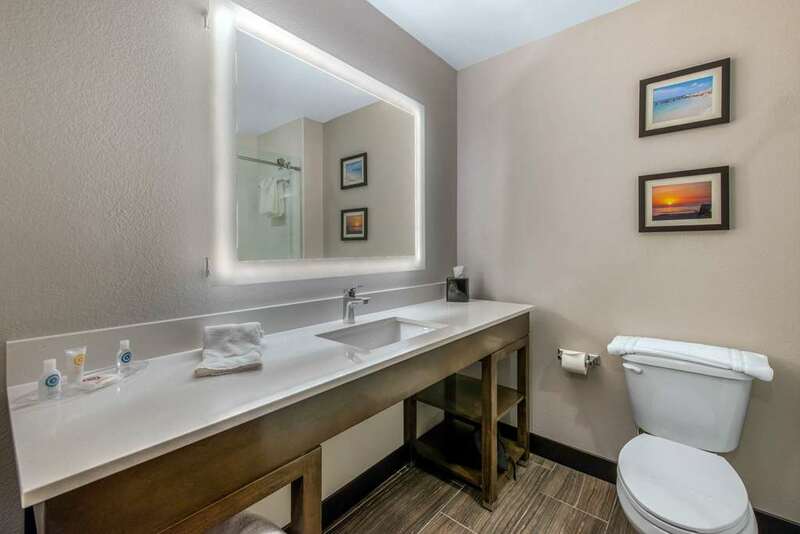 Whether your trip to Dania is work-related or you are looking for a vacation hotel for your getaway, you are sure to get a great night of rest at our Comfort Suites Fort Lauderdale Airport and Cruise Port. Amenities include free WiFi, free hot breakfast, free parking, free airport shuttle and an outdoor pool. Guest rooms feature a microwave and refrigerator, USB ports, a sofa bed, coffee maker and flat-screen TV. Nearby attractions include Port Everglades, Dania Beach, Hollywood Beach, Seminole Hard Rock Casino and Gulf Stream Park. You can also earn rewards like free nights and gift cards when you join our Choice Privileges program. No Pets Allowed.